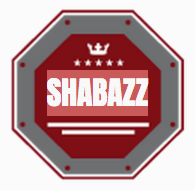 Shabazz Taekwondo also teaches competition and sport martial arts. We train, travel and compete as a team. Our 3 specialty competition events is fighting (sparring), breaking (boards), forms (poomse, kata). You must be physically and mentally fit to compete. Prior martial art experience is not mandatory. You must also be 100% committed to attending training and competiting at your highest level. Our competition fighting style is a combination of Taekwondo kicks and effective punching techniques. For those students who wish to focus on basic self defense, weight control and good health our Martial Art program also offer these points of interest.